Salespeople, engineers, managers and other business people frequently come to Colorado to support customers, negotiate contracts and work with colleagues in other offices. While hotels can provide convenient lodging for short business trips, many travelers prefer more permanent accommodations when traveling for periods of weeks or months at a time. It can be difficult to rent an apartment for business trips of weeks to a few months. Most landlords require lease durations of between 6 months and 2 years. Once you have rented an apartment, you must find furniture and provide linens and cookware. In addition, you must transfer utilities into the name of either your company or the employee who will stay in the apartment. This creates an incredible amount of work and is infeasible for short trips. Corporate housing provides the right combination of price and features to make business travelers comfortable on long trips. It is less expensive than a hotel, but lets travelers move in with only a suitcase full of clothes. The landlord provides linens, housewares, cookware, dishes, and maintains utilities, including high-speed internet and cable television. Many people who travel for weeks at a time miss having a kitchen; while eating at restaurants can be fun as a novelty, travelers often long for the ability to eat in privacy. 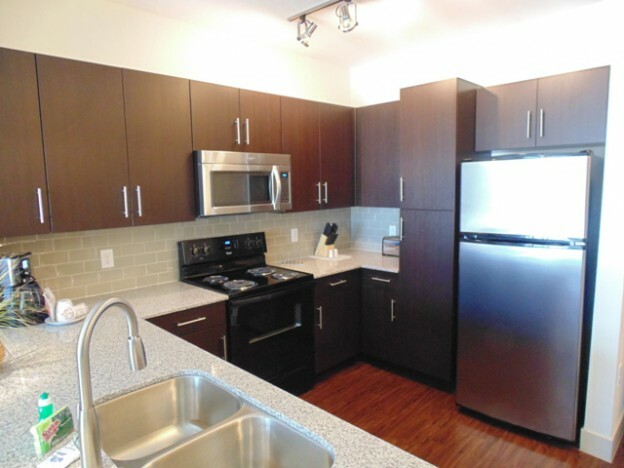 Corporate housing provides extended stay travelers with a full kitchen and all the amenities that make them comfortable preparing meals and stocking their favorite foods for a long stay. Corporate housing fills the space between hotels and apartments. It provides all amenities and lets your employees move in with just their clothes but costs less than a hotel. It also provides a level of comfort for long-term stays that hotels can’t match. In addition to using corporate housing for long-term business trips, many companies rent and maintain furnished apartments for whichever employee is in town on a particular day. Housing Helpers provides corporate housing throughout Colorado. Our corporate apartments and homes are thoughtfully furnished and designed to insure a comfortable and convenient stay for business travelers and those in need of temporary housing. For more information on booking corporate housing with Housing Helpers call 303-545-6000. This entry was posted in Corporate Housing and tagged boulder hotels, corporate apartments, corporate suites, extended stay hotels on April 26, 2016 by John Iannone.